As a kids dentist in Portland, we recommend that our young patients visit our office twice a year for regular teeth cleanings. Regular teeth cleanings are the best way to prevent cavities and infections from forming. Too many children suffer from tooth decay to the point that the Centers for Disease Control and Prevention, CDC, labels it a major infectious disease. As a dentist, we want to help our patients avoid these common health problems and do so by seeing our patients on a regular basis. It is necessary for us to carefully examine and inspect the child's teeth and gums. We will be looking for any signs of decay. If we can catch it early enough, we can prevent the decay from spreading to the point that it actually causes a toothache or begins to change the tooth. Early detection and treatment is the best way for us to keep a child's teeth healthy. One of the ways we can strengthen a kids teeth is with a fluoride treatment. Fluoride is a naturally occurring mineral that can strengthen the enamel when placed on the teeth. The reason this is necessary is that many actions can erode the tooth enamel. Eating something acidic, brushing too hard, drinking soda, etc., can all begin to erode the teeth. When fluoride is placed on the teeth, it can work to combat the daily erosion to keep the teeth strong enough to fight off the constant barrage of bacteria trying to infect their teeth. 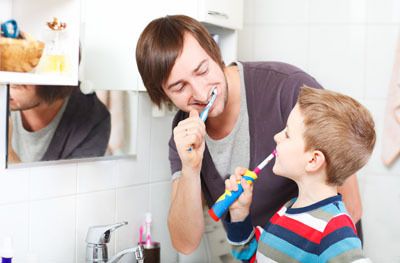 Upon visiting our kids dentist office, we will discuss ways we can help the child stay in excellent oral health. Very often, this involves brushing better and flossing regularly in addition to eating a mouth-healthy diet. However, there are certain factors that parents cannot control. If a child has deep ridges on the chewing surfaces of their teeth, food can become stuck between the teeth and make cleaning those areas difficult. The result can be a series of cavities that cause them significant discomfort. We can prevent this by placing dental sealant on their teeth, which serves as a barrier against food and plaque. We love working with kids. It is all we do and we are excellent at it. When selecting a provider, look for one who will be as focused on your kids' health as you are.